The kids played on the slide while we packed up camp. We grabbed a carton of beer and some bundy, while mum and dad got some meat and vegies on the way out of town. Just a short uneventful 190km trip this morning. 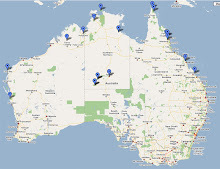 The town of Camooweal itself is just a pub, 2 servos, a police station and a centrelink office and not much else. We called into the pub for a quick beer while we waited for Mum and Dad to join us and then we headed just over the river for our free camp. We were not really sure what the camp would be like but the caravan park in town was nothing exciting so we figured we'd check the river out. Super glad we did. Big billabong with heaps of birdlife and there was a lovely breeze blowing so the temp was not too bad (in comparison!). We discovered after we had already set up camp that just an extra couple of hundred metres further along the track the camp flats went right down to a deeper section of river without the mud flats that we had... but there were a few less trees there so whatever- our camp was nice enough. 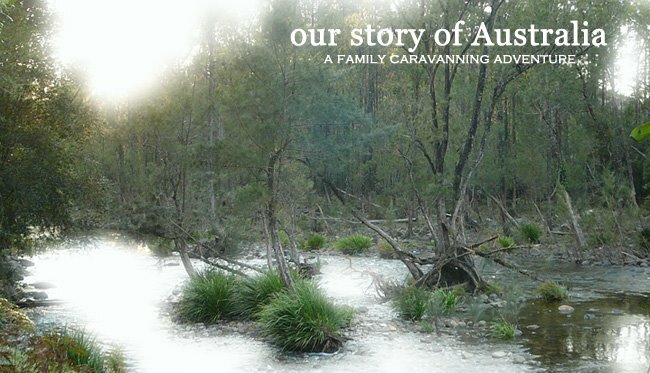 The billabong was covered with birds and there were brolgas marching through the trees when we first arrived but our vehicles caused a mass exodus and we hoped they would come back once we settled in. Only 30min to set up and within 45min of driving off the main road we were sitting with sandwiches and a beer. There were lots of storm clouds brewing and we were not sure if it would turn into anything or not. We debated putting the bed flys on but decided not to. But the cloud covered cooled things off nicely and made the lack of air conditioning not such a big deal. 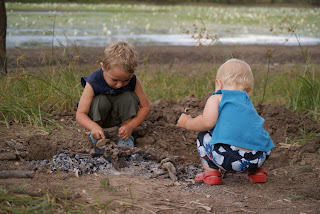 The boys enjoyed exploring the camp area finding sticks and feathers and poking at the waters edge (where they were told to come back from just in case of freshies). 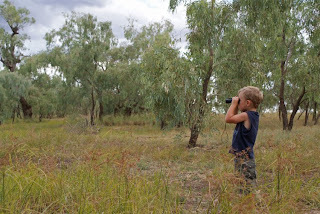 Jordy got his binnoculars out to check out the birdlife with Dad and i. Darcy tried to copy :) Then Dad dug a pit for the fire with a bit of help from the boys. 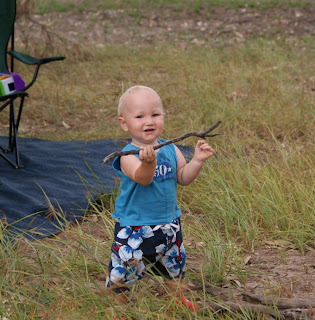 Darcy wanted to get IN the firepit but he is such a copy-cat that he learns pretty quickly how to gather sticks etc. I went for a walk around to see if i could catch some good bird photos. Not a huge amount of luck! 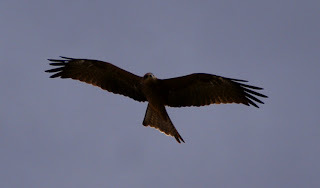 But nice to wander and see what i can spot and try to follow them with the camera. I would have loved to have gotten a photo of the brolgas but never managed to be free with my camera when they were out. Super yummy steak and salad wraps for dinner and then we sat around outside and just enjoyed the quite and the fire. A light rain started to fall as soon as dusk came. It got heavier as night fell and a bit of a wind blew up. We were not all that sure about what the track in would be like if it got too heavy and the guys were both considering options for a quick escape off the mud flats if a storm really set in.